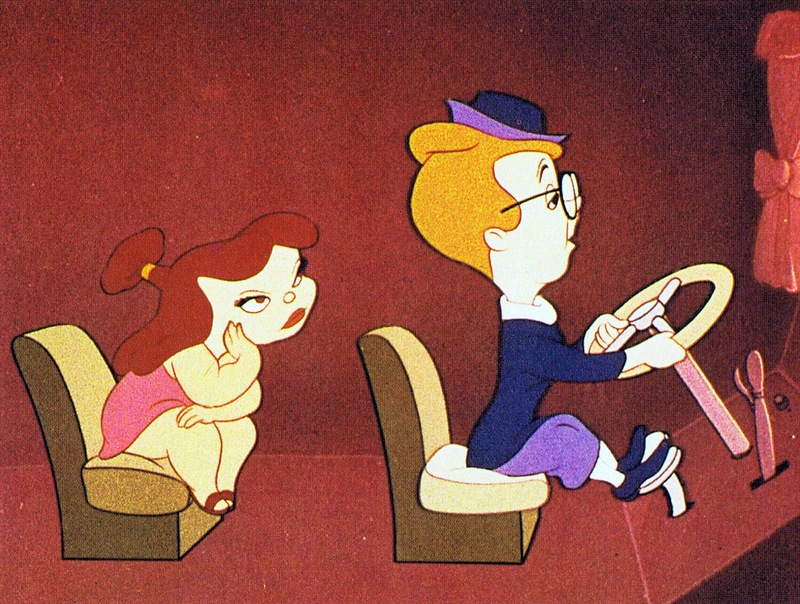 Ollie Johnston animated the two female parts in the 1943 propaganda film Reason and Emotion. 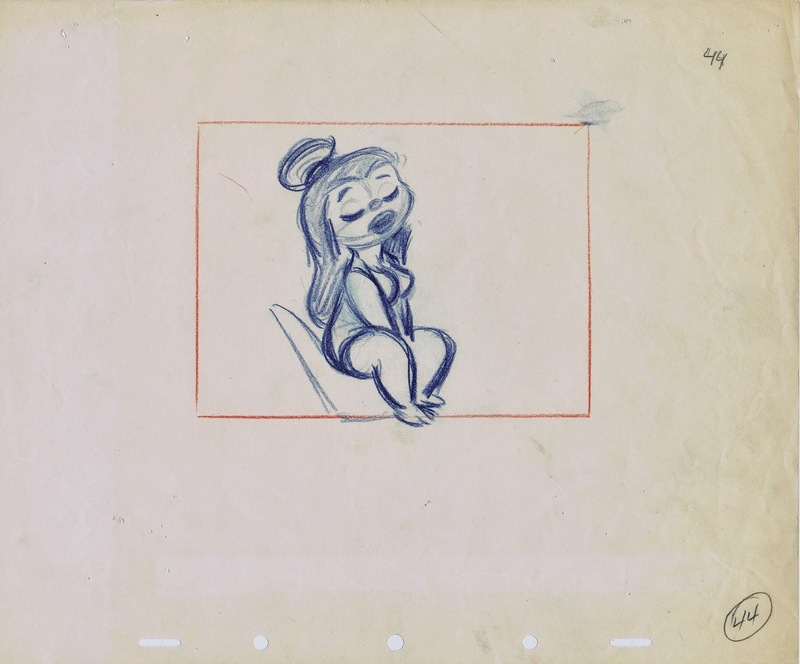 (Milt Kahl did the sequence featuring the male parts). For those of you who have not seen this short, there are two opposing characters inside the human head. One of them is Reason, proper and dignified, the other Emotion, intuitive and fun loving. The film’s point is that only a good balance between the two guarantees a successful way to conduct one’s life. 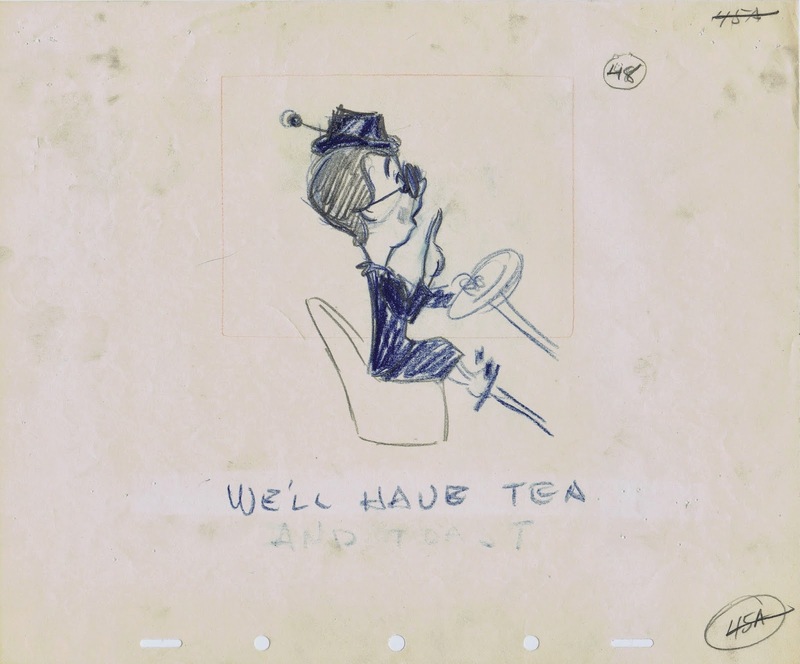 This is one of the best War Time shorts Disney produced. The contrast between the characters makes for interesting conflict and fun situations. 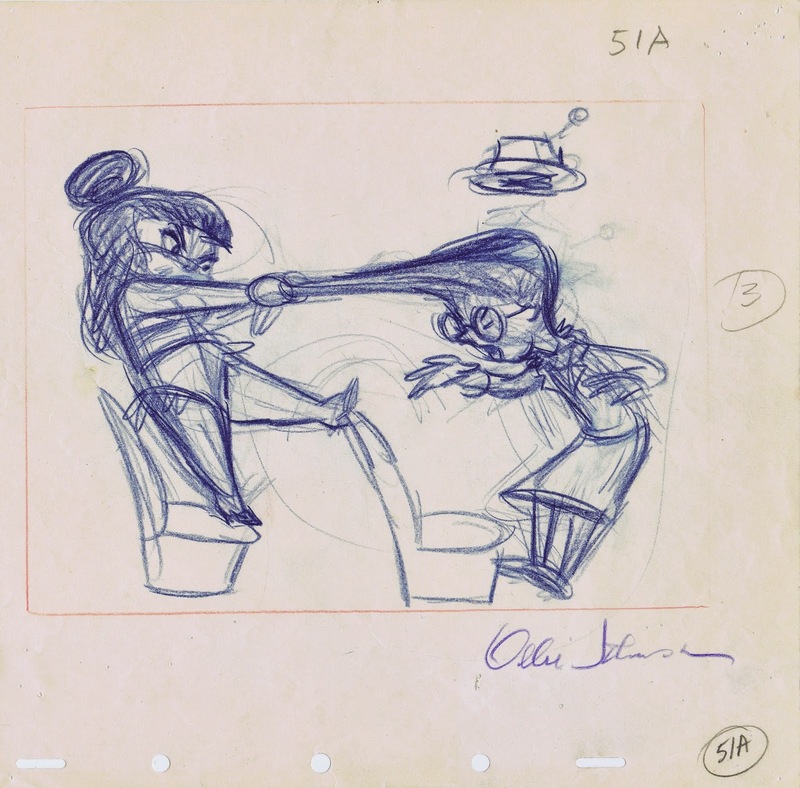 Here are some of Ollie’s character layouts showing Emotion getting a hold of the driver’s seat. I recall Frank Thomas suggesting way back that we study this short as character inspiration for The Black Cauldron. 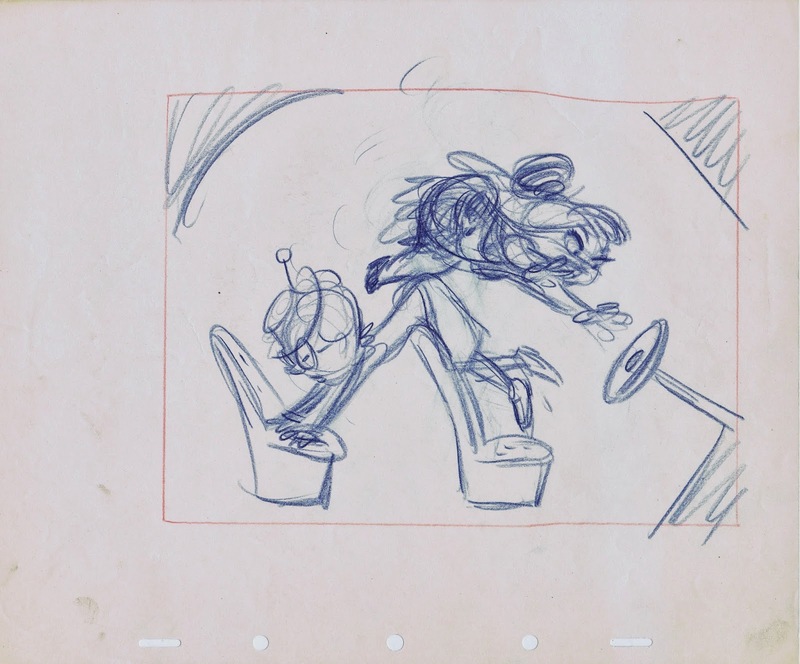 I know he felt that cartoony designs like these would be easier tho handle by a new, green animation crew. 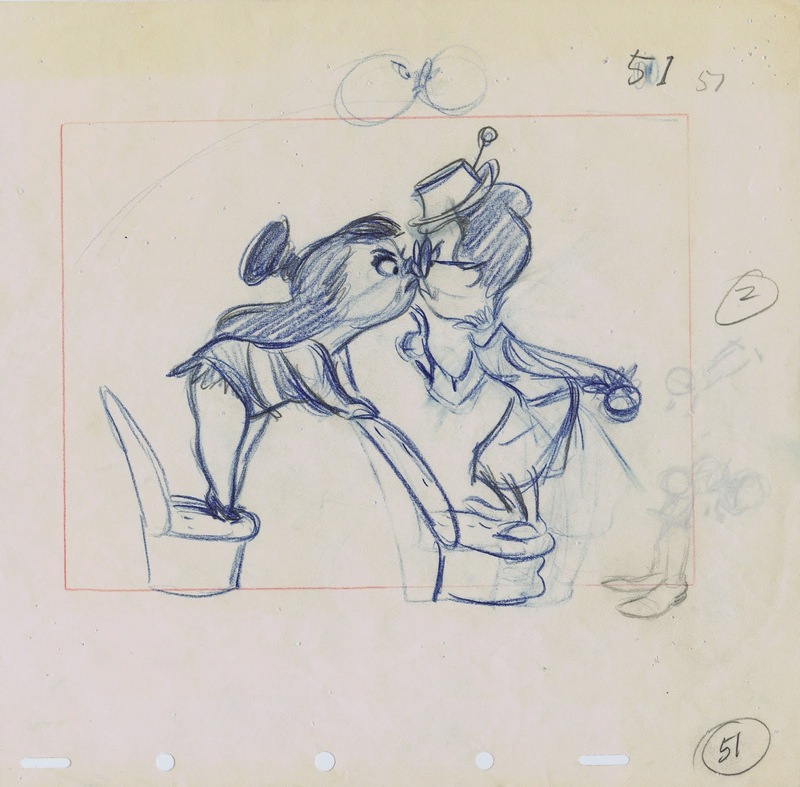 The designs Milt Kahl had suggested looked too familiar to him and too difficult to draw. 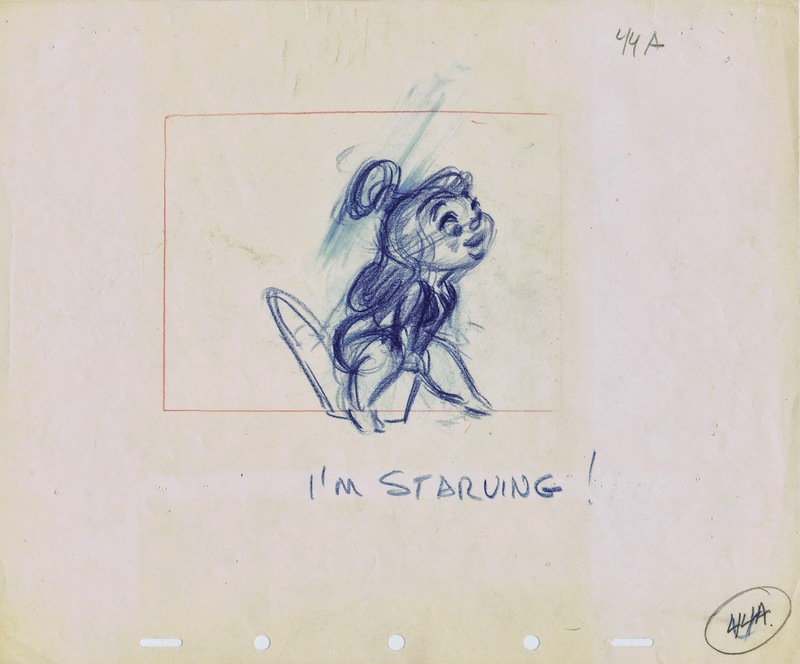 Reason and Emotion can be seen as part of the Disney treasures DVD called: On the Front Lines.